Growing up in Mississippi, Cici McNair was always more the tomboy her mother supported than the Southern belle her father demanded. She escaped her suffocating upbringing the first chance she had to travel the world. Whether working at the Vatican in Rome or consorting with a gunrunner in Haiti, she lived a life of international adventure. When Cici finds herself in New York, divorced, broke, and fashionably starving to death in a Madison Avenue apartment, she impulsively decides to become a private detective. But, as Cici soon learns, the world of P.I.s is tight-knit and made up almost exclusively of former law enforcement officers. By nature, they are a highly suspicious group and are especially wary of a newcomer with an untraceable past. Diligently working her way through the Yellow Pages, doggedly pursuing the slightest lead, Cici is finally hired by a private investigator willing to take a chance. The next day she's working side by side with a pair of seasoned detectives and a skip tracer who is scary to meet but like silk on the phone. She quickly realizes she'll need all her energy and wits to succeed in this new world. Being a private investigator is as exciting and liberating as Cici ever dreamed, from creating a false identity on the spot on her first case in the field to surviving adrenaline-rushing car chases. Working with law enforcement, she goes undercover, dealing with the ruthless Born to Kill gang in Chinatown and the Middle Eastern counterfeiters west of Broadway. 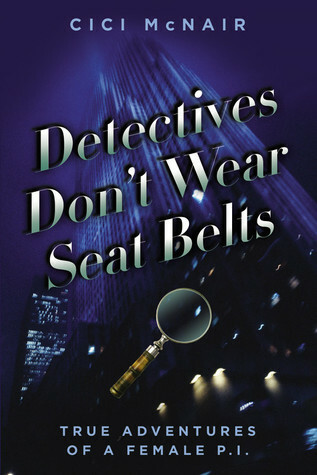 A detailed account of the hidden world and real-life cases of a P.I., this action-packed memoir is as entertaining as any detective novel you've ever read. Cici McNair, P.I., was born and raised in Mississippi. A graduate of Briarcliff College in New York, she worked as a researcher for CBC-TV's award winning documentary on organized crime called "Connections" in Toronto. She was also a news writer, on-air newscaster, and producer of documentaries for Vatican radio in Rome. She has set up households in Canada, England, Italy, Portugal, Switzerland, and Cyprus and has traveled all over the world. Ms. McNair now lives in Philadelphia and heads her own private investigation firm, Green Star Investigations, which handles cases ranging from counterfeit pharmaceuticals to missing persons, stolen art recovery, and murder. She also works as a court-appointed Homicide Investigator handling both capital and non-capital cases. This woman, Cici, leads such a colorful existence that I was in awe for most of the read. She has pretty much done it all. No joke. From living in Italy, the Vatican actually, to being sleuth in the States, with so much more in between. Each chapter is almost like a vignette of something that occurred in her life at the time she was talking about. I liked that. With that said, it was hard to love. Some of the things she went through, though exciting, were told in a bit of a boring manner. There were even a couple times I said to myself, 'can we just get to the point already'. I do love reading someones' personal life story though. I think every one has a story to tell, it's just how you tell it. **No compensation was received for posting. Compensation will be earned if purchases are made from the links within. This copy was provided to facilitate a review. Opinions are owned by Freda's Voice. Sounds like Cici had a bit too much excitement, if it was hard to keep focused on the book!